The Ingapirca Archaeological Complex is without a doubt the largest and best preserved in Ecuador. Literally ‘The Wall of the Inca’, these ruins are the ideal example of the finely-worked Andean stones. 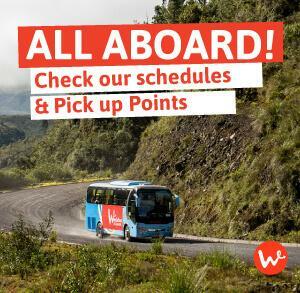 Located just 1-hour drive from Cuenca (a city included in the Wanderbus passes! ), at the Ingapirca Archeological Complex you will have a time travel experience. Admire Inca architecture, —known for not using any kind of adherent, but only perfect shaping—, while you enjoy pure air and the beautiful landscapes of the Andes. 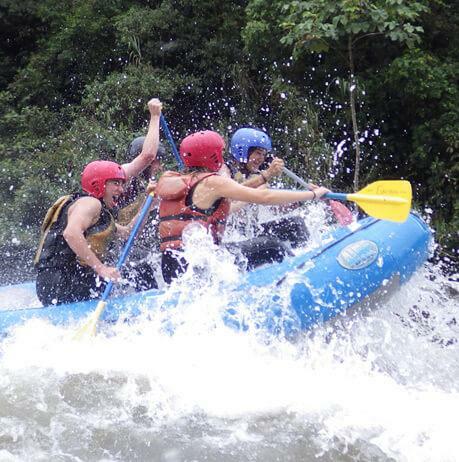 Wanderbus Ecuador has teamed up with the best tour operators to offer the most memorable experience. You will learn about pre hispanic history and at the same time, you will feel welcomed by the local community, as you try typical dishes from the southern Ecuadorian Andes. Open up your mind to witness how the history transcends books and comes alive in front of you! We will pick you up at your hotel between 08:00 to 08:30. Along the way to Ingapirca complex, you will observe intriguing Andean landscapes and local people in their lively traditional dress. You will get to taste the famous local dish called ‘cascaritas’. 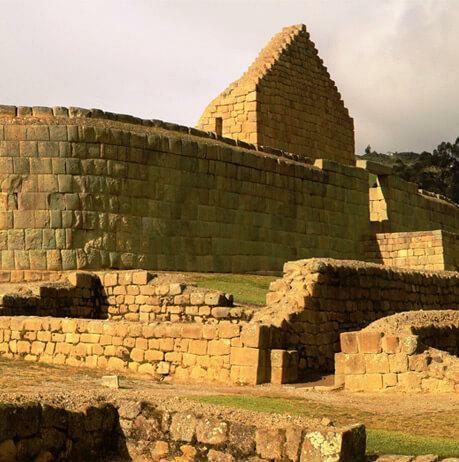 Ingapirca Archeological complex offers an incredible look into the past, including part of the Inca’s and Cañari’s history. You will be amazed by the different construction methods used to build the temples, and their solar calculations and aqueduct system. After visiting the complex, you will enjoy lunch at a local restaurant. Additionally, we will visit the striking Church of the Virgin of the Dew (Virgen del Rocío), constructed high on the cliffs overlooking the nearby town of Biblián. Return to your hotel between 16:00 to 16:30. 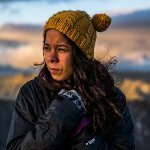 Wear comfortable hiking shoes for walking and warm clothing (bear in mind that Ingapirca is very windy). Sun screen, windbreaker, rain gear (in case of rain). Cash to pay personal expenses.